The Sokkia 8-Foot SRX Aluminum Range Pole for RC-PR4 727071 works with Sokkia's RC-PR4 SRX Robotic Total Stations remote control. 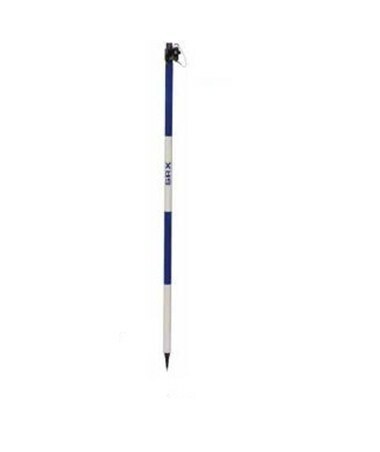 This range pole features graduations in feet and has a unique D-shape rod that offers surveying professionals a non-slip grip. 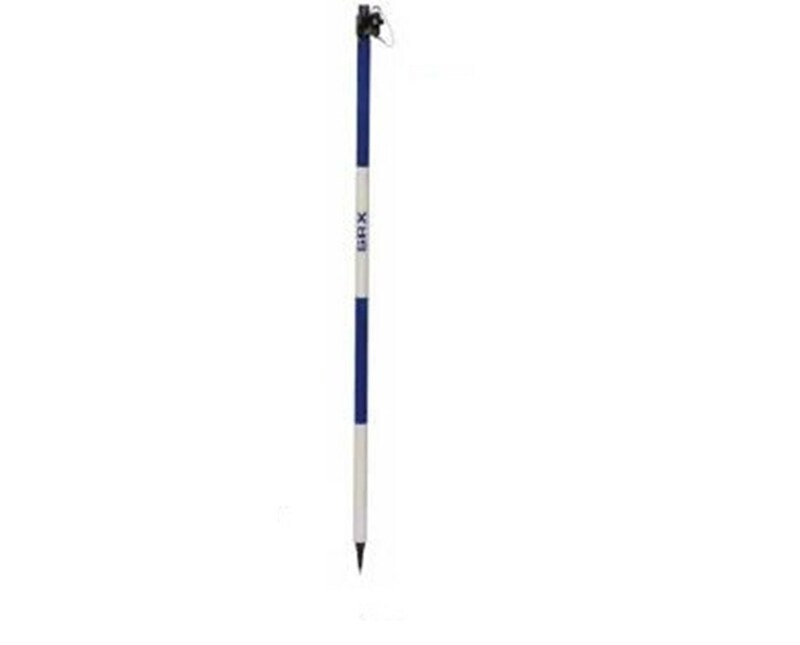 This range pole has one adjustable section covered in solid blue that extends to 8 feet and collapses to 4 feet. The range pole's level lock snaps down tightly to fasten your desired length in place. There is also a 5/8 x 11-inch thread on top of the range pole and a fixed tip at the bottom. Made of wear-resistant aluminum, users will appreciate this range pole's longterm reliability for years to come.